The question of how will we feed over 40 billion head of livestock and poultry by 2050 elicits a wide-range of responses from shock to disbelief and even disgust. 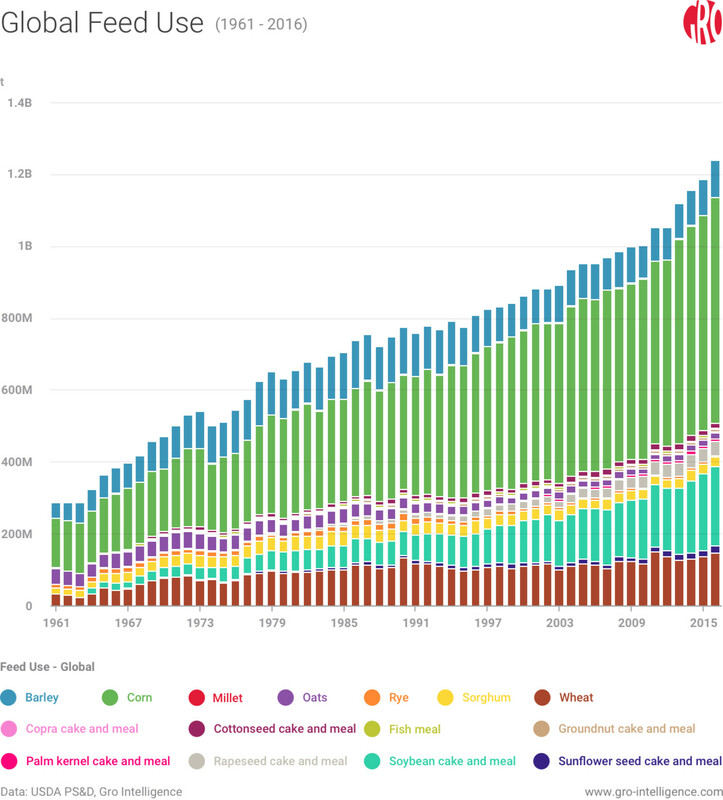 Regardless of one’s reaction, the blunt reality is that, based on OECD and Food and Agriculture Organization projections, meat consumption per person will rise from approximately 34 kilograms/person in 2015 to 49 kilograms/person in 2050. What’s more, feed demand is projected to soar to keep up with global livestock, poultry, and aquaculture production. Whether the global livestock and animal feed industries are up to the challenge is a matter of sharp debate. Some would argue that they shouldn’t even try. They say that global consumers should instead turn to plant protein and synthetic meat for their dietary needs. While this viewpoint may win out in the long-run, the more pressing need now is for smarter feed. Amid the debate over antibiotics, industrial food production, and animal husbandry practices, nutrient delivery systems get lost in the shuffle. Yet, the potential for improved animal nutrition has never been more promising. New feed approaches such as microencapsulation could increase nutrient absorption and improve energy status. The introduction of the enzyme phytase into animal feeds is also reducing phosphorous emissions from livestock. It may look like slop, but what’s in the trough is a finely tuned meal that satisfies an animal’s every nutritional need while accomplishing more and more human objectives. Animal feed is an amorphous term and can refer to food scraps, dairy products, forage, oilseed meals, mineral supplements, grains, fish meal, and insects. Differences in husbandry techniques, environmental and economic limitations, and varying knowledge among producers create a wide range of animal feeding practices around the world. The dawn of the commercial feed industry during the 19th century coincided with a new emphasis on animal science. As scientists gained a greater understanding of animal biology, the next logical question was how diet impacted animal development. Animal nutritionists found that developing a balanced diet required a holistic research approach. 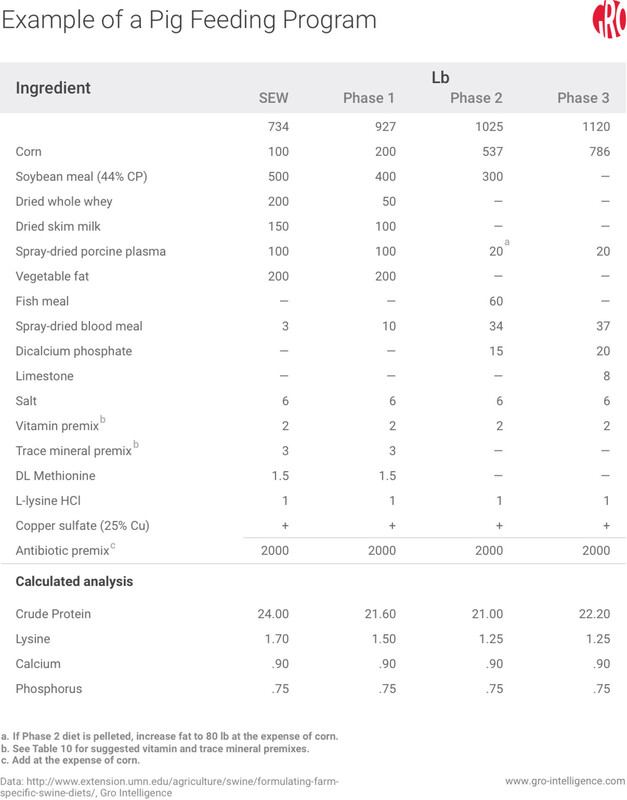 The increased focus on animal nutrition also revealed that the condition of raw feed—shape, texture, moisture, and protein levels—could impact animal digestion. Up until that point, livestock was primarily raised with natural forage, fodder, or various oilseed cakes. The trend since then has led to precisely formulated feeds with standardized recipes. Today, there are over 900 agricultural ingredients and co-products that make up a plethora of feed formulations. The commercial feed industry has come a long way since the seminal Thorley’s Food For Cattle was published in 1858. In fact, global animal feed production exceeded 1 billion metric tons (tonnes) for the first time ever in 2016. However, the sizing of the animal feed market can be a fluid exercise, owing to poor reporting mechanisms in developing markets and different assumptions for feed formulations. Yet, it is safe to say that global feed use has been near or above 1 billion metric tons since 2010. Furthermore, regional distribution of production and use is highly concentrated. China and the United States alone accounted for one-third of the world’s production and Asia represents almost half of the world’s use. Crop usage in animal feed can also differ regionally depending on supply and cost. Corn is the key energy source for poultry feed in the US, whereas wheat is the predominant source for poultry formulations in Europe. Of course, a grower or feed manufacturer will quickly substitute ingredients if it is cheaper to do so and the resultant blend still meets energy, nutrient, and safety requirements. The global feed industry still faces the universal dilemma of how to economically meet global animal feed demand in 2050. 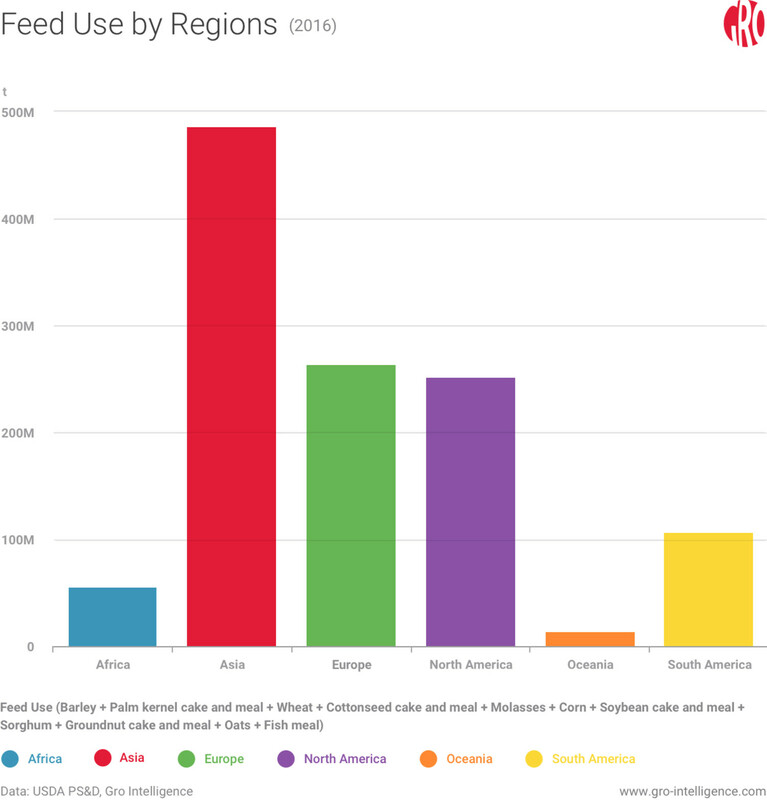 Rising animal protein consumption by humans puts greater strain on global feedstock supply, which, in turn, can flow through to feed and livestock producers in the form of higher feed costs. As might be expected, the cost of feed products has been highly correlated to the price of grains and fodder. 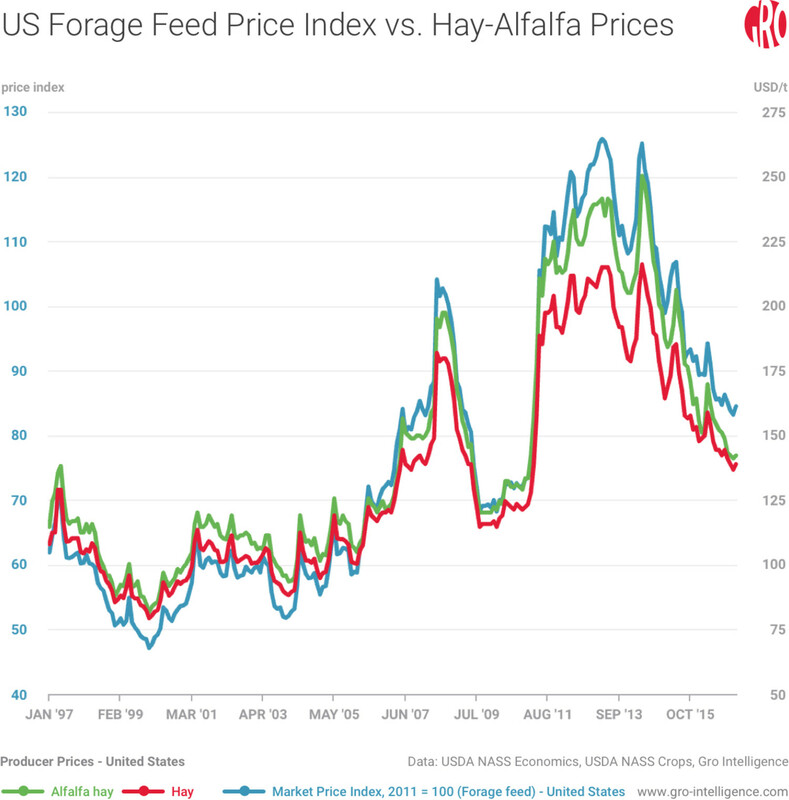 In fact, the forage feed price index still continues to track closely with hay and alfalfa prices. 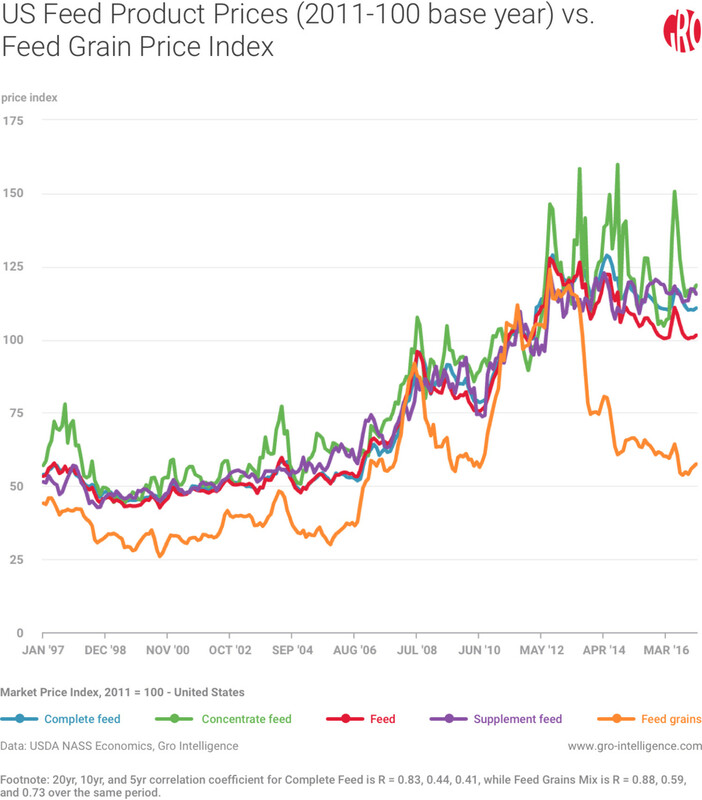 However, the connection between basic grain prices and complete feed and concentrate feed product price indices has broken down in the past 10 years. This is partially related to the cost of compound feed now being determined as much by the cost of soymeal, minerals, vitamins, and probiotics, among other ingredients, as it is by grain prices. Furthermore, advances in feed technology, while improving animal nutrition and productivity, can come with higher costs from value-adding manufacturing and compounding. The feed milling industry needs to become more efficient, particularly in areas with growing feed production, to cope with these longer-term cost pressures. For instance, a large-scale feed mill in the US may be operated by one to three workers, while feed mills in China are still being managed by 30 or more individuals. Several technologies recently introduced to feed mills appear promising. Near-infrared spectroscopy (NIR) analyzes raw materials for heavy metals and defects in real-time while new compounding-pelleting equipment reduces processing costs. If these technologies succeed commercially, automation might be in reach. Animal nutrition has seven building blocks: carbohydrates, fats, fiber, minerals, protein, vitamins, and water. While animal nutritionists will define a standard ratio of nutrients required by each animal type, feed requirements can also be further tailored for climate conditions and the genetic and disease history of specific animals. In many countries, but not all, feed formulations undergo rigorous lab tests and field studies before final government review (e.g. FDA in US or the European Medicines Agency in the EU). As such, animal feed’s origin can be just as important as where and how animals are raised. To further establish feed standards, groups such as the National Research Council and FAMI-QS publish recommendations on optimal formulations and feed safety. Looking further out, the field of nutrigenomics may allow nutritionists to better addresses nutritional, environmental, and genetic factors facing individual animals. After formulation development, the mixing process is critical in determining the efficacy of animal feed. Since feed ingredients can come in dry and liquid forms, there is a proper order that must be followed. When mixing dry feed products, cereal grains and similar ingredients are added first, followed by mineral supplements, vitamins, and special micro-ingredients. This sequence is followed to prevent the potential loss of small ingredients. If the feed formulation calls for liquids or moist ingredients, those are sprayed last to ensure adhesive consistency. Liquid feed using a molasses base is widely used in cattle and dairy feeding because proteins in this form stimulate the action of microorganisms that break down fiber and forage in the rumen (the first of a cow’s four stomachs). If animal feed is to be manufactured into compound form, the feed mixture goes through one last important stage, the pelleting process. 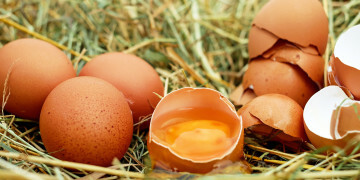 In a similar fashion to what’s done for human food, nutritionists formulate for texture. That can be a pelleted, flaked, crumble, straight meal, or extruded form. The feeding process on the farm has evolved over time from one of trial-and-error to precision planning with linear programming tools. Since feed accounts for a large portion of the final cost of animal production, it is imperative that growers get it right. In the case of pork, feed accounts for between 50 and 70 percent of the total cost of production. Animals have a daily nutrient requirement to maintain their bodies and support productive functions. For instance, critical amino acids may have to be supplied to an animal via feed intake. Lysine is seen as the first limiting amino acid for pig development. 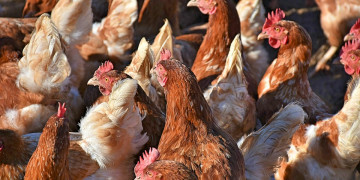 The sulfur-containing amino acids methionine and cysteine are the limiting factor for poultry in European feed formulas. What’s more, the balance of nutrients required can vary greatly based on an animal’s size, health, reproductive stage, and environmental factors. 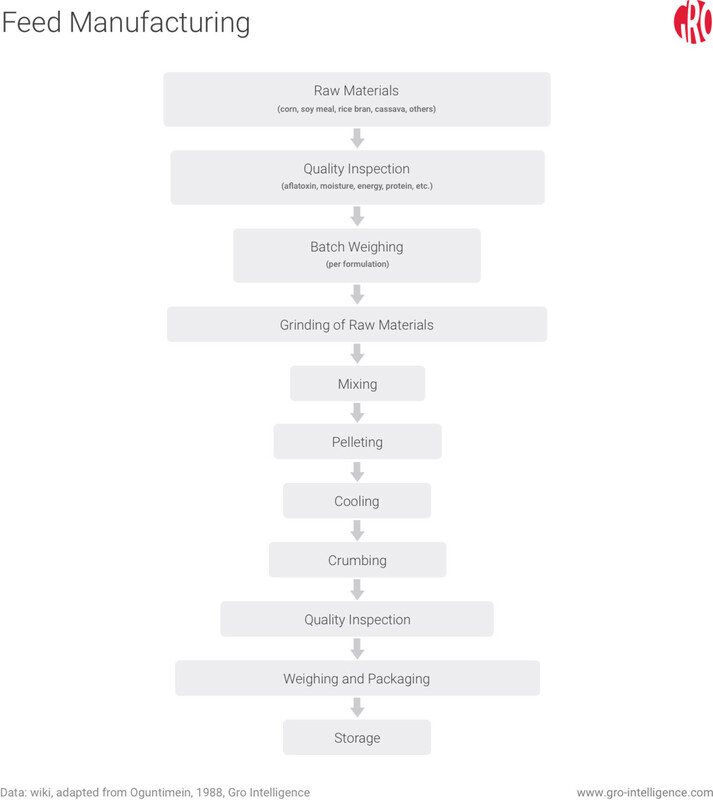 Linear programming tools allow farmers or feed manufacturers to take these variables along with raw material costs into account when seeking the optimal feed formulation. Precision feed is a term gaining traction among producers. Nutrition, genetic information—and the interaction between the two—and the power of big data could provide livestock producers with a more precise view of animal development. As a result, feed formulations could be adjusted in real-time to improve animal well being. Over the past 25 years, feed formulations have changed to incorporate new substitute ingredients that lower costs, reduce environmental impact, or improve nutrient intake. The protein concentration and digestibility of soybean meal has made it an indispensable part of a pig’s diet. Within the US cattle industry, distillers grains—typically a byproduct of ethanol production—have become a popular source of protein. The inclusion of phytase into feed formulations has had a positive impact on animal productivity and the environment. Since animals, such as swine, are unable to easily digest the form of phosphorous, phytate, found in most grains and oilseeds, most of it is released into the environment via animal waste. Phytase breaks down phytate into a form that animals can digest. Looking forward, animal nutritionists are exploring the benefits and practicality of using more crystalline or synthetic amino acids, peas, brewer’s yeast, insects, and algae. Microencapsulation is another promising tool to deliver critical nutrients to an animal’s digestive system. The technology coats particles with protective layers. Initially developed by the pharmaceutical industry, microencapsulation has been gaining traction as a method to protect probiotics on their way to an animal’s intestinal tract from destruction by stomach acids. Improved productivity has been a byproduct of these new feed formulations. Most livestock types have realized a lower feed-to-weight gain ratio in recent years. Broiler (for meat) chickens have seen their feed conversion improve to 1.5:1 from 2:1 in 1995. To put this into the context of feed demand, the global industry could produce 91 billion metric tons of chicken meat with 30 percent less grain if the industry could achieve a 1:1 ratio. Animal nutrition has come a long way from when animal feed was largely left to fodder or foraging. 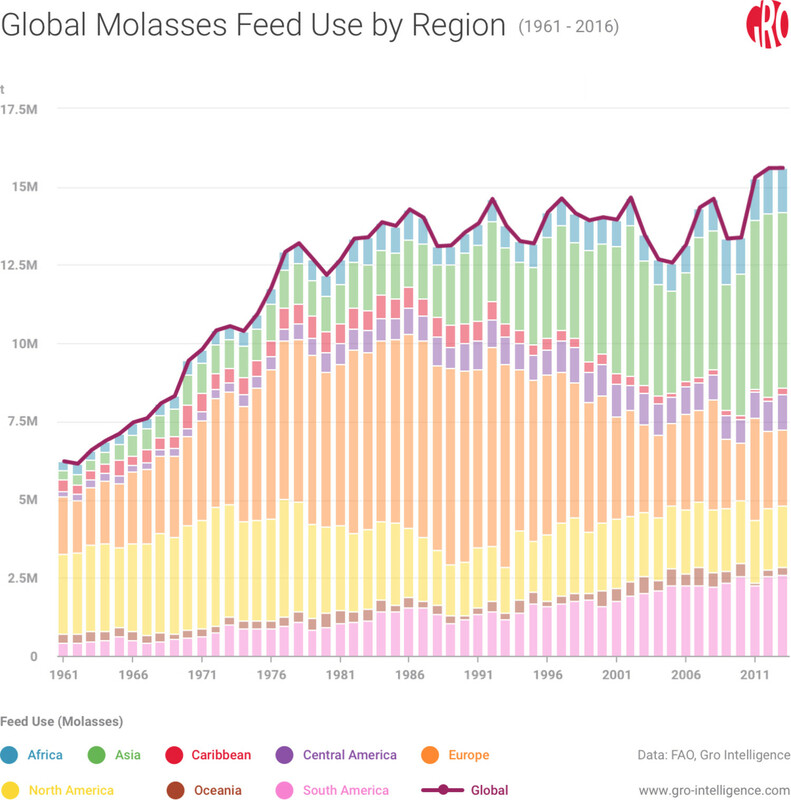 The world’s number of total livestock and poultry has risen over 300 percent between 1961 and 2014, due, in large part, to modern feed products and delivery systems. Yet, if the world is going to feed an estimated 40 billion livestock and poultry by 2050 in a sustainable manner, further efficiency in animal nutrition will be necessary. It is vital that global policymakers, animal feed producers, livestock industry leaders, and the scientific community ensure that R&D spending grows in this area. There’s no doubt that the animal feed industry has an important role to play in keeping the world’s livestock healthy. They can also help to address the herds’ expanding environmental footprint, including methane emissions and excess animal waste. 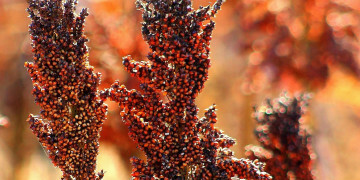 Tariffs and Drought Batter US Sorghum—How Much Will Trump’s Aid Help?